Turkish President Recep Tayyip Erdogan is demanding that Saudi Arabia reveal the location of Jamal Khashoggi's body and hand over the suspects in his murder. Crown Prince Salman, killed on Oct. 2nd, 2018 inside Saudi Arabian Consulate in Istanbul. VietPress USA (Oct. 26, 2018): It's very clear that the killing Journalist Jamal Khashoggi on Oct. 2nd, 2018 in Saudi Arabian Consulate in Istanbul is a pre-planned dirty scheme by Saudi Arabia. 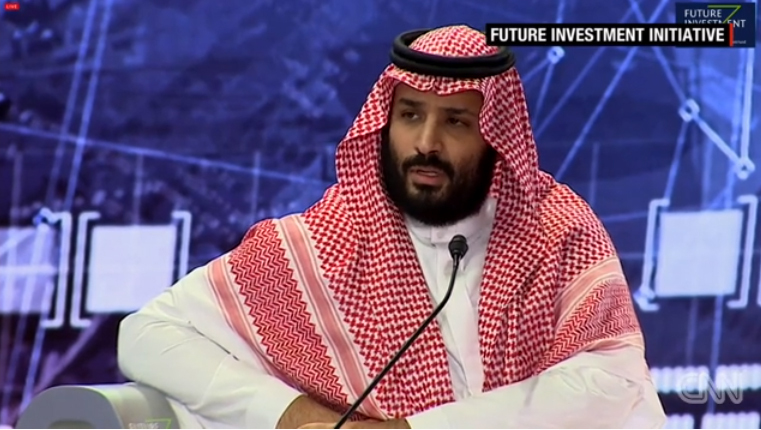 After Saudi Arabia admitted that Khashoggi was killed October 2 in its Istanbul consulate, five high-ranking officials were dismissed, including Saudi Crown Prince Mohammed bin Salman's media chief and the deputy head of the Saudi intelligence service. Eighteen people were arrested. 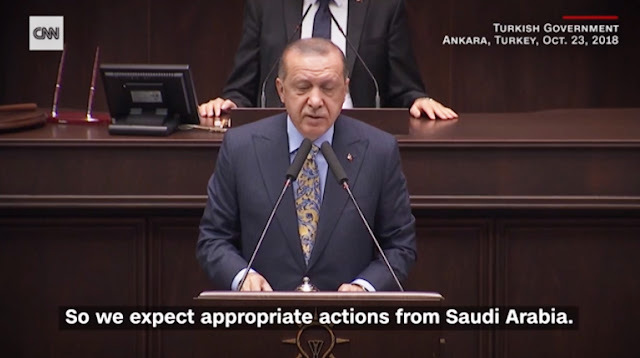 Erdogan said the top Saudi prosecutor will travel to Turkey on Sunday to meet with the top Istanbul prosecutor, and argued that those responsible for killing the journalist should face trial in Turkey. "Whatever happened, it comes down to these 18 persons. If you are determined, if you want to remove the suspicion and clear the air, these 18 persons are the bottom line to this," Erdogan said Friday, addressing the provincial heads of his ruling Justice and Development Party in Ankara. If the Saudis can't make the suspects talk, then Turkey will, he said. "The incident took place in Istanbul. So, hand them to us, and let us judge them," he said. Istanbul (CNN) Turkish President Recep Tayyip Erdogan is demanding that Saudi Arabia reveal the location of Jamal Khashoggi's body and hand over the suspects in his murder. The Istanbul prosecutor's office submitted an extradition request to Saudi Arabia Friday for the 18 suspects linked to Khashoggi's death. A senior Turkish official told CNN that "it is clear that the judicial system in Turkey is better equipped to genuinely serve the cause of justice in this case," and that court proceedings in Turkey would be open to international observers. Turkish officials played the purported audio of Khashoggi's killing to CIA Director Gina Haspel, according to two sources familiar with Haspel's meetings in Turkey this week. Erdogan described some of the statements made by Saudi authorities as the Khashoggi case unfolded as "very funny" and said their strangeness had increased the Turkish authorities' responsibility to act. "These juvenile statements do not match with the seriousness of government affairs," he said. "It is obvious that (Khashoggi) is killed. But where? Where is the body?" He also suggested that the Turkish authorities had further significant information in their possession, saying: "It's not like we don't have other documents... Tomorrow is another day." 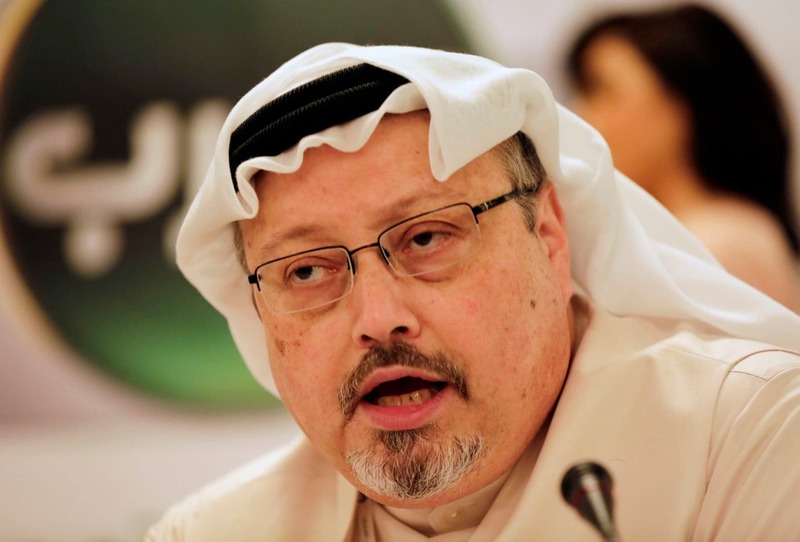 Khashoggi's fiancée, Hatice Cengiz, told Turkish broadcaster Haberturk on Friday that the journalist had been concerned about going to the Saudi consulate in order to obtain paperwork allowing him to remarry, fearing tensions might arise. "Of course, he did not want to go," she said. 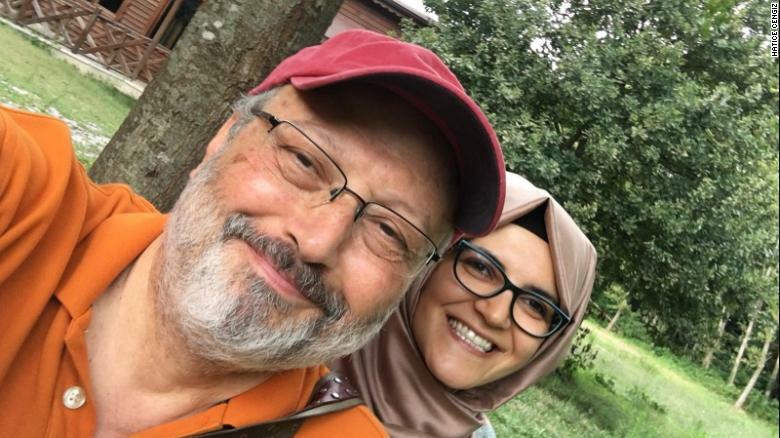 Journalist Jamal Khashoggi is pictured with his fiancee, Hatice Cengiz. Nonetheless, he did not fear arrest, Cengiz told Haberturk, according to the Reuters news agency. "His local network in Turkey was very good as you know, his political network as well," Cengiz said. "He thought Turkey is a safe country and if he would be held or interrogated, this issue would be swiftly solved." Cengiz said her expectation now was the same as Erdogan's: for those responsible for Khashoggi's death to be tried. Speaking about an invitation she received from US President Donald Trump to visit the White House, Cengiz said, "The statements Trump made in the first days around his invite and the statements he made afterward opposed each other. They were simply statements to gain public sympathy." She added that US Secretary of State Mike Pompeo called her a couple of days later. "I think the call was about showing that they were serious after Trump's statements," she said. Cengiz said nobody in Saudi Arabia had called her. In his will, Khashoggi said he wanted to be buried in the Saudi city of Medina, she said, adding that she hoped that this would happen when his body is found. Asked if she would visit him there, her response was negative.